So how does one define who is or isn’t Malay? Having actually researched this for my thesis for the past two years, please let me share with ya’ll SOME of what I’ve learned. 1) there is the Islamic ummah, which basically imagines ALL Muslims in the Malay archipelago regardless of ethnicity as being part of the larger Malay community (basically, it’s: you are Arab? Pakistani? Well, hello, welcome, cuz as long as you Muslim, you my bro). Apparently, This emerged as kind of an identity-based counter to Western imperialism and colonialism in the 19th and early 20th centuries but which has now gotten a pretty bad rep because talk about a southeast Asian caliphate now (which is what this definition alludes to) and people will be like, eh, don’t become Isis leh, I call police. 2) Then, for the second, we have Malayness defined by cultural signifiers and codes, where we talk about people who practise Malay customs (adat), speak the Malay language (Bahasa), and practise Islam (agama). These three thingies form the basis of whether someone is either Malay (Melayu) or if that person has “enter (has become) Malay” (masuk Melayu). What confuses people about THIS definition is that it does NOT take genetic heritage into account. Basically, it’s: oh, you have Pakistani parents? But you now speak Malay, love motorcycles, know how to eat nasi ambeng, and go Friday prayers? Then we same-same Melayu lah bro. 3) The third definition is the one Mendaki and the gahmen loves cuz it’s the simplest one; using parentage/ancestry or “genetic and territorial qualifiers”. It’s really just, oh, your father is Malay, your mother is Malay, then two plus two equals four cikgu. It’s the most exclusive kind of Malayness but also one that people who are not Malay are least confused by. Also, can anyone spell “administrative convenience”? 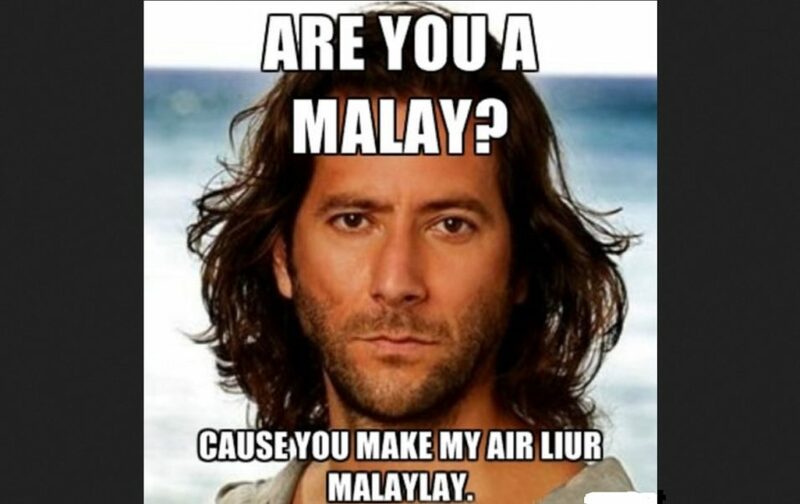 4) THEN, as if these three ways of defining Malayness is not enough, we’ve not even touched on the fact that “Malay” also refers to an umbrella term for “the Malay races”, which is when we further divide Malays up into whether they are Minang, or Bawean (Boyan), or Javanese, or Bugis, even Filipinos and Orang Asli,etc, etc, oh so many many, many of which have their own languages, customs, even religious practices, some of whom are chill with being called Malay and others who are less chill because of reasons. All of them are represented in singapore so JOY. 5) THEN, as if I don’t have a migraine already, not only are all these different ways of defining Malays competing with each other, they are COEXISTING in some kind of strange equilibrium because, you know, we Malays don’t have enough problems in our lives. It’s why some of us say, Wah, this Marican cannot Bahasa Melayu, is he really Melayu (second definition)? Then with Khan, whom no one has criticised for not being able to speak Malay, people are like, eh, he Pakistani ancestry means he’s not Malay right (third definition). 6) THIS EQUILIBRIUM SHIFTS, because Malays cannot duduk diam-diam, between each other but also internally within the three definitions as well. For example, increased religiosity in recent decades means many Malays absolutely require someone to be Muslim to be considered Malay while others like the 1960s Malay nationalists placed a premium on customs and heritage. Before that, there was also the phrase “Bahasa jiwa bangsa” (language is the soul of a nation) which was a huge draw for the malay intelligentsia because they ardently believe that MALAY LIT IS MORE LIT THAN YOUR ROKOK. It’s only really with the (racist) British system of colonial administration, and later on with the (rac-Er-problematic) CMIO system that the third definition really became much more dominant in the lives of Malays in sg. All in all, these shifting lines evolve to adhere to historical and cultural changes. 7) So, really, what I am trying to say is defining who is Malay and how has been one long historical ?&$?? that has resulted in the inconsistency many people are now seeing in how the Malay community is treating the candidates. ALSO, AND MOST IMPORTANTLY, it has resulted in me extending my MA Programme by one semester, WHICH LIKE WAHLAO NI MELAYUNESS MAKAN MELAYU KE PE, incidentally. Now, with this development in the Presidential Election, this headache is finally going to be passed on to, as it usually happens here, a committee. I’m kinda looking forward to what they’re gonna say. For research purposes. Of course, they could just use the simplest, most boring way which is the third, genetically defined one, which will disqualify Khan. But this would leave us with Marican who many Malays would like to instinctively disqualify because of the second definition. Of course, likely, both will be disqualified because of the 500 million dollar in whatever equity rule, neatly avoiding this headache, which will mean, happily, that this migraine will continue, resulting in more MC days for my Malay brethren and me. Disclaimer: While Malay identity is important to my thesis, it’s not the main subject I am investigating for my research project. As such, what I know is limited and no doubt incomplete. So please feel free to add in any gaps or correct any inaccuracies as you spot them.